This week, North Korea’s central bank began replacing the country’s highest denomination currency unit: the 5,000 won. After paying visits to the Korean Central Bank to make their own exchanges, Daily NK sources in the borderland confirmed the appearance of the replacement bill: On the front, an image of the house at Mangyongdae in Pyongyang where the government claims, seemingly falsely, that Kim Il Sung was born, and on the back the cavernous International Friendship Exhibition complex at Mt. Myohang, where gifts bestowed upon Kim Il Sung and Kim Jong Il are stored and displayed. 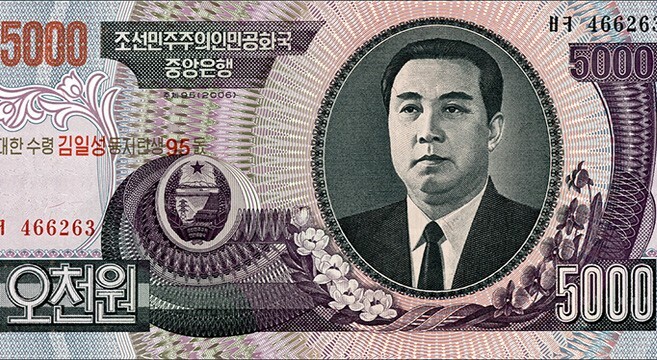 Ergo, there is no likeness of Kim Il Sung, the nation’s founder, on the newest incarnation of its money. This apparent revolution in fiscal reality caught the outside world unaware, and prompted a number of questions: Was this like the currency redenomination of November 30, 2009? Why was Kim Il Sung’s beaming visage removed? Did it imply that North Korea is ready to embrace its currency as something other than a sterile, political symbol of Kimist dominance? Could it be that, with the “people’s economy” now a complex, increasingly dynamic and above all monetized entity, the government has concluded that the national currency should reflect that? 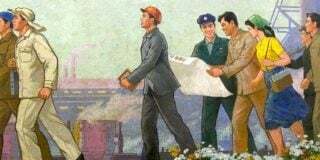 The removal of Kim from the 5,000-won bill came as a surprise to ordinary North Korean people, too. However, this was not due to concerns over a currency reform measure a la 2009. The one fanning that specific flame was the South Korean intelligence service and certain lawmakers, who asserted that the currency swap was designed to bring out all the hard currency squirreled away in society. Inside North Korea, where it really counts, a handful of buyers and sellers are said to have clashed in urban markets over the latter’s refusal to accept the soon-to-be old money, but incidents of this nature appear to have been few and far between. As in December 1947, April 1979 and July 1992, when all existing currency units were swapped, and 1998 and 2005, when single new denominations were issued, what happened is that the state performed a 1:1 swap of one bill for another. The overwhelming majority of local people know perfectly well that a simple currency replacement and the shock of a currency redenomination are radically different, and that this was the former. Only twice have the financial authorities deliberately destroyed value: in February 1959, and again in November 2009. Regional bank officials (told) heads of people’s units (…) that the 5,000 won would be switched. They told the people’s unit heads to manage the new money very carefully as likenesses of the Great Suryeong and Great Leader are to appear on it. I asked (name of source withheld) why he thought the authorities had replaced the old 5,000 won with a new one that doesn’t have Kim Il Sung on it. He said it immediately: It’s because there is going to be a 10,000 won. A variation on this theme was repeated across North Korea: from Sinuiju in the west, to the capital, Pyongyang, and across to Hyesan, Musan, Hoeryong and Rasun in the distant northeast. Every change in currency policy, be it a replacement or a redenomination, must have an economic rationale, a political rationale or both. This one is no exception. By replacing the existing 5,000-won bill featuring Kim Il Sung with one that does not, the North Korean financial authorities have opened up the political option of putting a 10,000 (or higher) won bill into circulation. 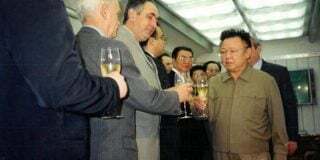 This can then feature Kim, or both he and his son, the late Kim Jong Il. Economically this is important, as inflation continues to erode the value of the Korean People’s Won, and Yuanization persists in spite of improving domestic economic conditions. This could be read as a minor signal of the North Korean authorities accepting that they need to pragmatically manage market forces. They can’t simply wish things in or out of existence, as they tried to do in 2009. They seem to have been managing the value of the won better of late, and have perhaps accepted that they’re never going to get it back anywhere near to the fantasy official exchange rate. It just isn’t practical to have your biggest note be worth 70 cents and expect people to use them for even medium-sized transactions. Ultimately, what is most important about the currency replacement measure is not that it will have deleterious effects on the purchasing power of ordinary citizens. (It shouldn’t, though one ought to hope that if the authorities do indeed want to put a new, higher denomination bill into circulation, they have the hard currency reserves with which to support it.) 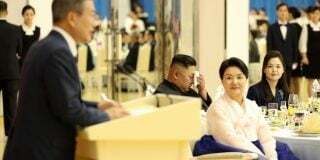 Rather, it is that the replacement stands out as one of very few directives issued on the titular watch of Kim Jong Un that affects market actors at all. The general trend of the era has been non-interventionist: indeed, civilians have been living through one of the longest periods of unrestricted market activity since the state accepted the existence of public markets early in the 21st century. Of course, two and a half years of relative market freedom (since the end of the 100-day mourning period for Kim Jong Il in late March 2012) and a 5,000-won currency swap, however competently implemented, do not mean that market capitalism is on the march in North Korea. Nor do they foreswear the possibility of the current era of market growth coming unceremoniously to a halt at an unspecified moment in the near future. They do not indicate that “Chinese-style” economic reform is underway, and they do not portend the state withdrawing existing directives that circumscribe market access for certain individuals and social classes. Such actions would be contrarian, for these are the very tools with which the marketization process has been co-opted and controlled thus far. Finally, of course, swapping one denomination will not solve North Korea’s economic problems. For as a wise man once said: Any time you have to spend 10,000 units of currency on dinner, you have a problem. Given the harm done to public trust five years ago in November 2009, very real doubts must linger over whether such a goal is even achievable. Yuanization is still rampant, as new video footage of markets all across the border region amply attests. Besides which, who would bet money that the North Korean government is ready for a pragmatic future? It’s still much too early to say that. Subscribe to read the remaining 1292 words of this article.